The pilot is spot-on too!!! Cripes, that is a slick scheme. Who did the decals? It looks like huge vinyl so I'm assuming Callie, but I didn't know she had a cutter that large. I'm wearing a Citizen right now. Trade? Nice watch though!!!! Hey, thank you for all you do Bro!!! I appreciate you and MRC, for sure!!!! The gray is from my job, I want to retire someday. This was a long repaint job because I was sick half of the time and too cold in Ohio the other half. Once I get moving I can get something done in the garage. The pilot should be in a little bit deeper , but , I wont change him till there is an out cry. 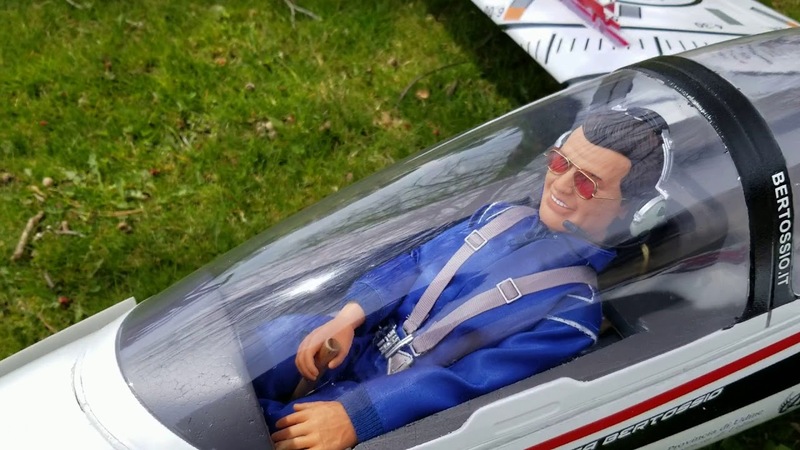 Half the pilots body was cut out and replaced with tissue paper to save weight. Hey!!!! Getting old and sick and cold is not for the youngsters!!!!!!!!!!!! Great job Bro!!!! You the Man!!!!!!! That is one fine machine!!!! It is impeccable, and the pilot looks fine to me! You've done a lot of hard work on that bird and I hope you gather many compliments on the job. When I see this kind of work and dedication on our projects, it makes me proud to be a member of an elite group of flyers and builders. Well done Jetman. Thank you Dutchman, I too feel the same way. There are so many great modelers out there way better then me. I just feel lucky to even be on the same page as them. Well you know what this means , off to the next paint job for me. I have tons of Callie Graphics in the drawer. This is very cool, I'll say it again and again, I love your refinishing work. To me it transforms the model.